Lift up lid reveals a large storage area. 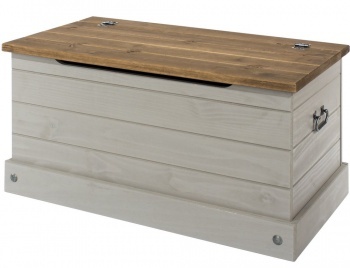 This storage trunk is ideal for use placed at the end of your bed or for additional storage space in any living area of your home. The new Corona Carbon range brings you a sophisticated twist on the popular Corona pine furniture range. Gun metal finish hinges work in harmony with the carbon dark grey cabinet and chunky pine top of the storage trunk. 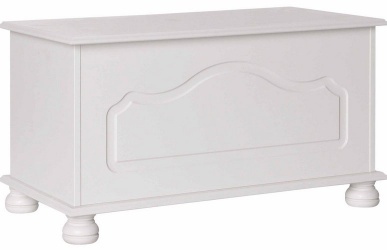 Washed wax finish allows the natural grains and textures of the real wood to show through. Made from responsibly sourced South American pine with a pine plywood cabinet back. 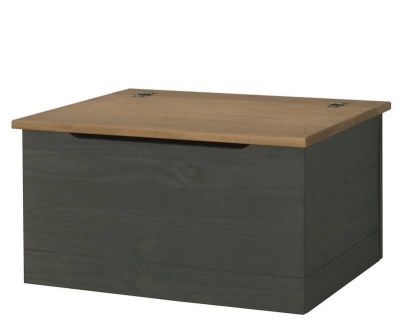 Colour: Carbon dark grey wax and antique pine. Flat packed for self assembly. Full easy to follow instructions included. 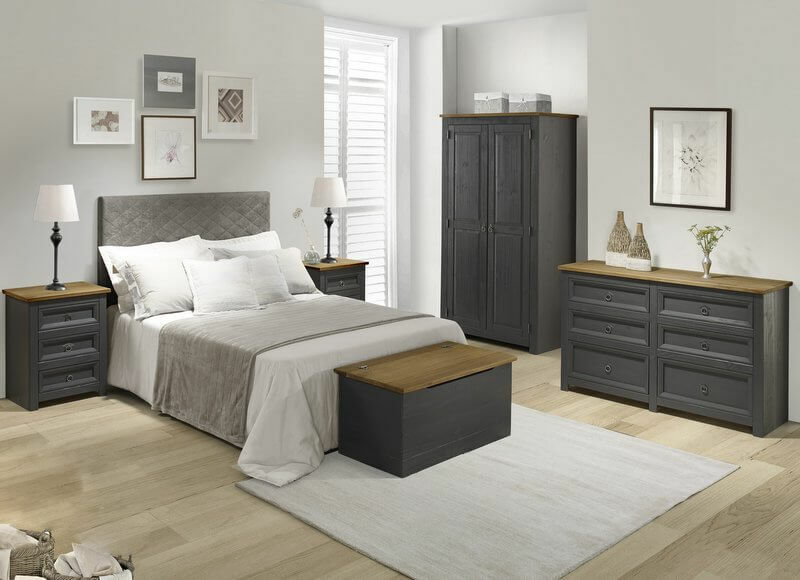 Part of the Corona Carbon bedroom furniture range.